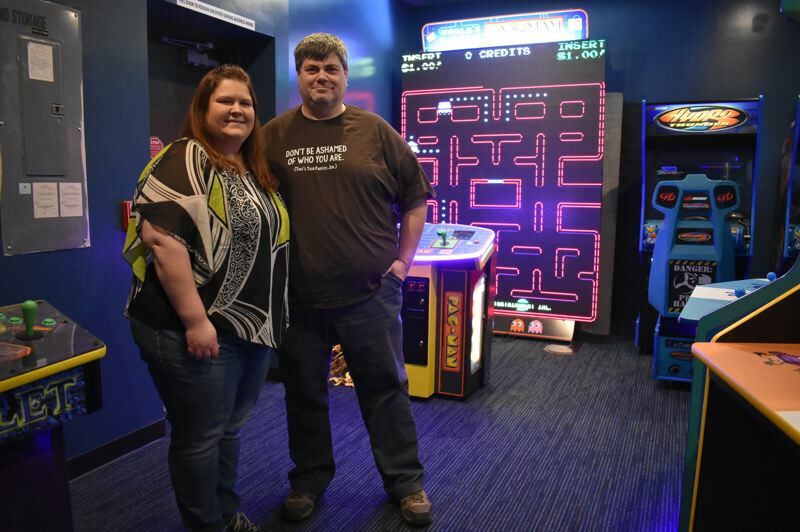 A board game shop and playing center in a quiet retail plaza on the eastern edge of Troutdale may not seem like a surefire recipe for success, but if expanding from one storefront to three after three years of operation is any indication, the owners of Goin' Gaming may be on a winning streak. 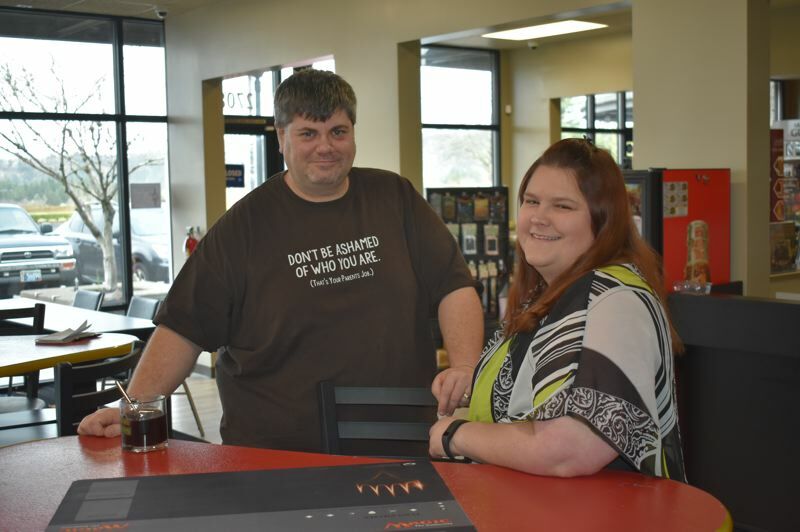 Troutdale residents Becky and Alan Schmid, who opened Goin' Gaming at 27084 S.E. Stark St. in December 2015, took over two adjacent spaces — one vacant and another formerly occupied by Flippin Bonkers. The space accommodates the Grub & Grog, deli/cafe complete with beer taps and stage, a private room for parties and gatherings, and a video arcade. "We've been mulling it over for a couple of years," Becky said. Started in September, the now-completed project to expand from 1,296 to 2,900 square feet at Troutdale Marketplace represents the couple's belief in the community's loyalty and vitality. "We wanted to see if Troutdale would be receptive toward a gaming store," Alan said. "They've been very responsive to us, so (by) expanding we're trying to be responsive (to the community)." The middle storefront provides more space for merchandise including classic board games like Yahtzee and Risk along with combat-oriented games. The expansive Grub & Grog area serves soups, salads, sandwiches, four microbrews on tap, wine, non-alcoholic drinks and even breakfast cereal for those eager morning gamers. The table-filled corner stage, now occupied by a Dungeons & Dragons-style serpent, accommodates karaoke, gaming presentations and painting classes hosted by East Wind Arts. The party room works for birthdays as well as organized D&D sessions, and the coin-operated video arcade in a back room provides an electronic dimension to the decidedly older school focus of Goin' Gaming. 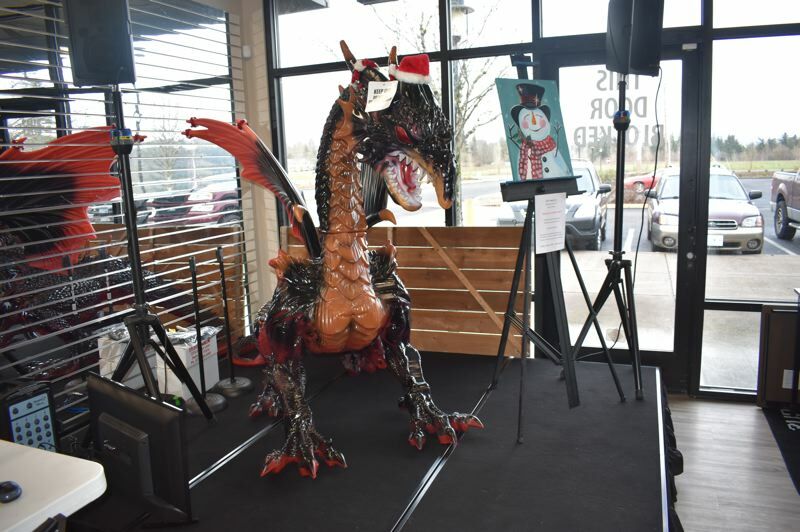 With the reinvestment in their relatively new venture, the Schmids are hopeful they provide a welcoming cultural outlet as well as a viable business to the community. "There's not a lot for kids to do in this area," Alan said. - 4 p.m.: Magic starter deck tournament: $20 Pick a starter deck out of the bag and update it with the enclosed booster packs! Pack per win prizing or one just for participating.